“Inside the NFL,” cable television’s longest running show, will premiere its 37th season tonight. The program continues its tradition of top-notch NFL analysis, expert commentary and dramatic highlights. My name is Kevin Joyce, and as an intern working on the show, I’ll be able to give readers a view into what to expect each week this upcoming season. One of the focuses of this week’s show: training camp. Those two words are notorious among the NFL. With them come promises of grueling two-a-days, sweltering heat, and the looming and sobering awareness of the fact that you might not be here come tomorrow, whether it be due to injury or cuts. But the seriousness with which these players and coaches take their jobs in this multi-billion dollar business doesn’t preclude a little levity every now and again during the dog days of summer. 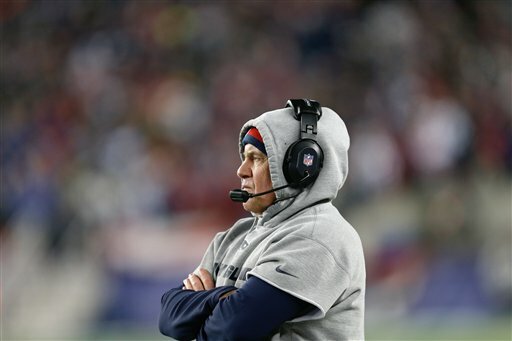 Take Bill Belichick, for example: a man famous for brooding under his hoodie, even if his team is up four touchdowns with 30 seconds to play in the game. As a Patriots fan myself, I certainly don’t mind his approach to the game. It has produced results, after all. Not everyone is as appreciative of his taciturn sideline and pressroom behavior. And take Marc Trestman, Chicago Bears head coach. You can make your own opinion, but Trestman doesn’t think too much of his hair. He has a sense of humor about it too, which he displays while talking to Lance Briggs here during warmups. This is just a taste of what you can expect on this week’s edition, and the season ahead, so make sure you tune into “Inside The NFL” every Wednesday at 9:00 pm ET/PT, only on Showtime.